SAVE - Looking for Unique gifts at a discounted price? Check out our Clearance Sale! - Up to 75% off every item! Check out our Throwing Knives and Axes today (details). Use Coupon Code Knives10 for a 10% Discount on our Throwing Knives and Axes Section! 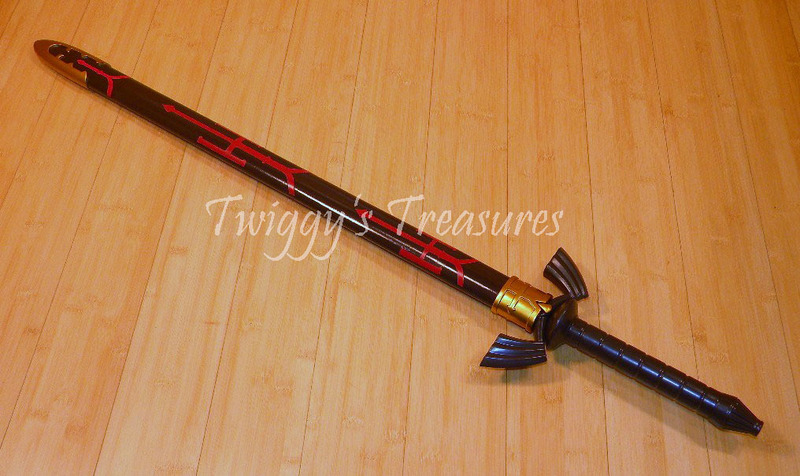 This is the Legend of Zelda Dark Link sword which comes with a hard scabbard. The blade has the triforce emblem on it and it is rattail tang. Just wait til you get your hands on this one. The Legend of Zelda video game series was first published in February 1986. In this video game series, our hero, Link, uses various Zelda swords, shields, as well as his mind, in order to save the land from an impending evil force and usually to rescue the Princess Zelda. This replica sword of the one featured in the video game series Legend of Zelda comes with the handle in brown. The 440 Stainless steel blade features the etched triforce symbol on the blade. The detail on this hard scabbard is very precise with red detail and gold accents on the end of the scabbard. 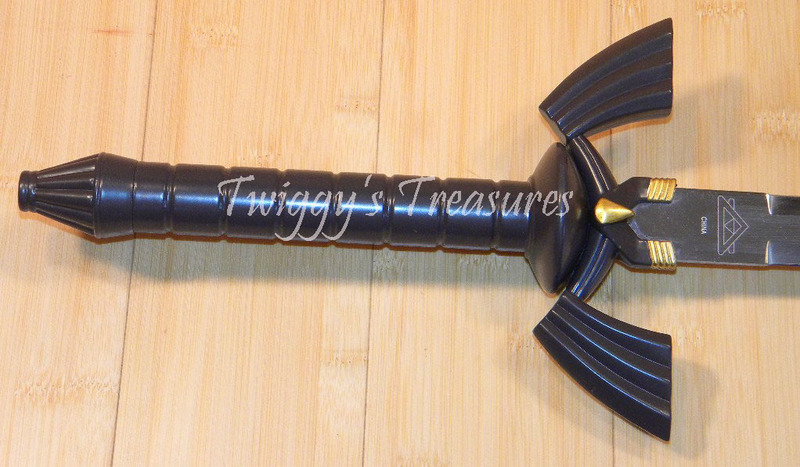 Now for the first time in history comes the EXACT REPRODUCTION of the Zelda Dark Link sword from the video game. The design on this sword will amaze you. So get yours today before its all gone. This is the shorter version just right for the countries which are restricted to 42" overall length. 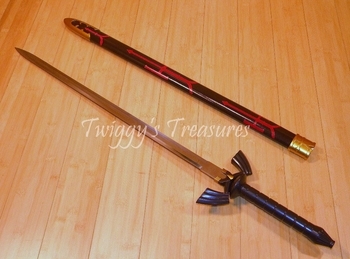 ▪ Overall Length: 39" Out of Scabbard:36"
▪ Includes: Custom Brown and Red Hard Scabbard with Gold Accents at each end. Sign up for our newsletter to know when new products are added. Copyright 2015 Twiggy's Treasures. All rights reserved.